Developing tools to help patients cope with pain, such as virtual reality pain distraction and biofeedback meditation. Advancing new computer technologies to help people deal with pain and improve health outcomes. Which serious burn victims get more pain relief: those on morphine or those fully immersed in a 3-D skiing adventure computer game? Over and over, controlled experiments show that subjects in “fully immersive” virtual reality environments feel less pain than their counterparts on conventional drug-based pain treatment. 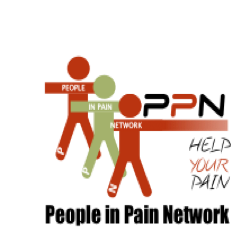 Right now, 31 per cent of all Canadians are affected by some form of pain. Dr. Diane Gromala suffers from chronic pain herself and, as Canada Research Chair in Multidisciplinary and Multimedia Arts, will devote much of her research to understanding how virtual reality goggles and headsets relieve feelings of pain. 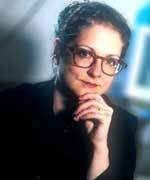 She is also working on building better computerized aids to help patients through biofeedback meditation and visualization therapy. Her goal is to explore new ways to use computer technologies to help people improve their own health outcomes through education, experience and expressing themselves physically. Pain is universal to human existence. One in five Canadians experiences chronic pain. On average, they wait two to five years before seeing a pain specialist. Try as we might to express the quality or intensity of our pain, even the most empathetic person cannot really know what another person’s pain feels like. Gromala is working together with doctors to develop new computerized biofeedback therapies. The therapies promise sufferers a way to express, visualize and keep track of their pain. In addition, they give people in chronic pain a way to gain some control over their suffering while waiting for treatment by specialists. As Canada’s baby boomers enter old age, pain and pain management looms as a huge public health issue. Gromala’s research will give us tools to manage and control pain in new, and extremely effective, ways.